DSST Public Schools is widely considered to be one of the leading open enrollment STEM (Science, Technology, Engineering, and Math) schools in the United States, and has become a destination for educators nationwide. DSST schools are home to the highest performing and highest growth secondary schools in Denver Public Schools, and to date, 100% of our graduates have earned acceptance into 4-year colleges and universities. DSST's Mission: DSST Public Schools transform urban public education by eliminating educational inequity and preparing all students for success in college and the 21st century. DSST Public Schools is a values-driven organization and a deliberately integrated community, serving students from all walks of life. Our six Core Values are central to our program and to our results. These values are truly embedded in everything we do. Respect: We appreciate each person and their story through our words, actions, and attitudes. We value their unique perspective and treat others with dignity. Responsibility: We acknowledge that our actions and choices impact ourselves and our community. We take ownership for what we do and how we choose to do it. Integrity: We act and speak with honesty, fairness, and thoughtfulness. We consistently align our words and actions. Courage: We possess the confidence and resolve to take risks, push ourselves, and persevere in the face of pressure, adversity or unfamiliar circumstances. Curiosity: We are eager to learn, question, and explore. We have a thirst for knowledge, a love of investigation, and a desire to learn about ourselves, our community, and our world. High School Spanish Teacher DSST Public Schools (DSST) seeks a High School Spanish Teacher to join one of the leading charter school organizations in the nation. We serve 6-12th grade students across Denver and Aurora. Our mission is to transform urban public education by eliminating educational inequity and preparing all students for success in college and the 21st century. Overview of Position : DSST Public Schools seeks teachers with a track-record of raising student achievement to join a team of educators dedicated to providing a rigorous college preparatory program to a diverse population. Our teachers are leaders who play an integral role in ensuring student success through supporting our school culture, developing and instructing a rigorous core curriculum, and using data to drive their daily practice. Our Spanish teachers believe that loving and learning Spanish deepens beyond its usefulness and includes the practice of deeply valuing all cultures and traditions as we learn from them. Our Curriculum Map is as follows: 9th Grade: Spanish 1 10th Grade: Spanish 2 11th Grade: Spanish 3 12th Grade: AP Spanish Language or AP Spanish Literature We also have an “Español para hispanohablantes” (EPH) track that has been designed to ensure that all heritage learners, regardless of initial level of Spanish proficiency, are provided with Spanish instruction that meets their unique needs. We will inquire about your grade level and campus specific preference at the time of interview. Essential Functions : Overview Demonstrate relentless drive to improve the minds and lives of students Take holistic accountability for student success- taking ownership of each student’s academic success or failure. Reinforce the school’s core values, guiding philosophy, rules and school spirit. Classroom Teaching Exhibit mastery and enthusiasm for the assigned academic subjects and classes Work closely and collaborate with other teachers within the school and throughout the DSST network Teach 3-5 classes a day of various lengths depending on the DSST campus and subject area Average 150+ minutes of plan time per day Plan lessons and implement targeted curriculum and assessments for each student which adheres to the school's curriculum and standards. Keep an up-to-date gradebook for each class Work to implement and master DSST Public Schools’ core instructional practices Data and Analysis Implement a variety of targeted assessments and perform a root cause analysis that measure progress towards learning outcomes and that adhere to the DSST Assessment Framework. Use assessment data to adapt curriculum and instructional practices to help students meet the school's performance standards. Such use of data includes re-teach weeks, spiraling skills, and changing daily instruction to meet student needs. Professional Development Participate in weekly feedback sessions with an instructional coach Devote the necessary time and energy required to master the craft of teaching. To be open to innovative approaches to teaching, feedback from colleagues and school administration. Actively participate in the school’s professional development programs including data analysis and planning, leading and participating in best practice sessions, peer coaching, and attending conferences. Additional Duties: School Life Model, live, and reinforce the school’s core values and policies inside and outside the classroom with colleagues, students, parents, and the larger community. Student Advisor Perform as an advisor to a small group of advisees by overseeing their academic and student life. Taking attendance Checking homework completion Holding regular academic and behavioral conferences Meeting with advisee’s parents and communicating with families regularly Leading reading and culture circles Leading weekly Advisory activities and lessons. Grade level “House” teammate Participate in weekly meetings to support student culture and academics for the whole grade Data tracking and observations in between meetings will be likely Participate in planning and execution of grade level events Weekly Staff Meetings Participate in weekly whole school staff meetings to support school culture, and teacher initiatives Participate in planning and proctoring extra teacher “duties” throughout the week Lunch Duty Morning Duty After School Duty Academic Interventions College Prep Mandatory Tutoring Behavioral Support Intervention Refocus **there may be additional duties depending on the DSST campus** Job Requirements : DSST Public Schools seeks candidates with strong character, passion for excellence and a relentless commitment to student achievement. In order to be considered qualified to teach at DSST Public Schools, you will need a Bachelor’s degree from an accredited university as well as the below credentials 36 credits hours (DPS approved) in the subject you are teaching OR a CDE license endorsement within subject area Spanish Fluency: Reading, Writing, Speaking, Listening Required Competencies : Commitment to Equity We believe that if we actively commit to equitable and inclusive practices aligned to our mission and values, our students and staff will achieve at high levels. Commitment to Continuous Growth We believe that if we foster our own growth mindsets, our students and staff will develop a commitment to continuous improvement and thus maximize their potential. Commitment to Healthy Team We believe that if we commit to modeling and fostering healthy teams, our students and staff will achieve a collective success that surpasses that of the individuals Drives to Results We believe if we strategically develop systems and people with a driven sense of urgency and focus on results, our students and staff will achieve ambitious goals. Classification : Exempt Reports to : School Director Compensation and Benefits : DSST Public Schools is committed to providing our staff with benefit offerings that empower each of our employees to make the choices that best meet their individualized and personal needs while also keeping cost in mind. DSST Benefit highlights include: Medical Plans offered through Kaiser $0 employee cost option! Annual Health Savings account (HSA) gift from DSST Public Schools 2 Dental Plans options offered through Principal Dental Group and Vision through VSP Employee Assistance and Counseling Support 401 (k) retirement plan with 5% annual gift from DSST regardless of personal contribution FMLA effective immediately (6 weeks paid, 6 weeks unpaid) Access to additional discounts through our benefit partners exclusively for DSST staff *Candidates placed in Aurora Science & Tech. will be eligible for a PERA Retirement Plan Physical Demands : The physical demands described here are representative of those that must be met by an employee to successfully perform the essential functions of this job. While performing the duties of this job, the employee is regularly required to talk and hear. This position is active and may require standing, walking, bending, kneeling, stooping, and crouching throughout the day. The employee must lift and/or move items up to 30 pounds. The employee must have sufficient hand, arm, and finger dexterity to operate a computer keyboard and other office equipment. Specific vision abilities required by this job include close vision, distance vision, peripheral vision, depth perception, and ability to adjust focus. DSST Public Schools Overview: DSST Public Schools (DSST) operates a network of tuition-free, open-enrollment public STEM charter schools. All DSST schools operate within the Denver Public Schools (DPS) district and students are admitted through DPS’ School Choice process. Our schools focus on building a community where students and staff are valued for their unique talents. Meaningful relationships are at the core of our model which is why our schools are small enough to ensure every student is known and valued for their individuality. We have developed systems and structures to ensure our students will be prepared for college, career and life. The student population across the DSST network is 83% students of color and 71% qualify for free and reduced lunch. This year, DSST will serve approximately 5,700 students at fourteen schools on eight campuses across Denver, and DSST will open its first campus in Aurora, Colorado in the fall 2019. At full enrollment, DSST Public Schools will serve over 10,000 students and will more than double the number of four year college-ready DPS graduates. DSST Public Schools employees support each other not only to have fulfilling careers, but more importantly, to lead fulfilling lives that combines deeply meaningful professional work with personal well-being. Our core values are central to our program and to our results. These values are embedded in everything that we do and how we do it, both for our students and our staff. The six DSST core values are: Respect - We appreciate each person and their story through our words, actions, and attitudes. We value their unique perspective and treat others with dignity. Responsibility - We acknowledge that our actions and choices impact ourselves and our community. We take ownership for what we do and how we choose to do it. Integrity - We act and speak with honesty, fairness, and thoughtfulness. We consistently align our words and actions. Courage - We possess the confidence and resolve to take risks, push ourselves, and persevere in the face of pressure, adversity or unfamiliar circumstances. Curiosity - We are eager to learn, questions, and explore. We have a thirst for knowledge, a love of investigation, and a desire to learn about ourselves, our community, and our world. Doing Your Best - We put our best effort into everything we do. We know that individual and collective effort are required for our community to thrive. DSST Public Schools proudly values diversity and is an equal opportunity employer. Denver School of Science and Technology does not exclude participation in, deny benefits to or discriminate on the basis of, ethnicity, race, color, religion, national origin, ancestry, marital status, gender, sexual orientation, age or disability in admission or access to, or treatment or employment in its programs and activities. (Protected Classes). DSST Public Schools does not unlawfully discriminate against a member of a Protected Class in admission or access to, or terms and conditions of employment, or in its programs and activities. DSST Public Schools shall operate as an equal opportunity employer and will provide and safeguard the opportunity for all persons to seek, obtain, hold and advance in employment within the district without discrimination. The District shall actively promote the full realization of equal employment opportunity through a positive, aggressive, continuing affirmative action program. Further, DSST Public Schools affirms the rights of all Protected Classes to be free from intimidation, discrimination, physical harm and/or harassment. DSST Public Schools shall inform students, parents, employees and the general public each school year that the educational programs, activities and employment opportunities offered by the district are offered without regard to ethnicity, race, color, religion, national origin, ancestry, marital status, gender, sexual orientation, age or disability. The announcement shall also include the name/title, address and telephone number of the person designated to coordinate Title IX and Section 504 and ADA compliance activities. Any person having inquiries concerning the School's compliance with the regulations implementing Title VII of the Civil Rights Act of 1964 (Title VI), Section 504 of the Rehabilitation Act of 1973 (Section 504), or Title II of the Americans with Disabilities Act of 1990 (ADA), may contact the Assistant Superintendent or Human Resources. English Language Development Teacher Leader DSST Public Schools (DSST) seeks an English Language Development (ELD) Teacher Leader to join one of the leading charter school organizations in the nation. We serve 6-12th grade students across Denver and Aurora. Our mission is to transform urban public education by eliminating educational inequity and preparing all students for success in college and the 21st century. Overview of Position : The ELD teacher leader will play a critical role in ensuring that English language learners, referred to as multilingual learners (MLLs) by DSST staff, get the intentionally designed supports and services that they deserve. Essential Functions : Teach pull-out ELD class(es) to MLL students in order to help promote overall student achievement Manage the MLL Identification and Redesignation process to ensure that all multilingual learners are assigned appropriate interventions and supports Develop colleagues on best practices for MLL students, by: Providing feedback to colleagues around culturally responsive classroom practices Designing and delivering professional development sessions that develop colleagues in the effective use of language acquisition strategies across content areas Work alongside school administration to maintain a school environment that celebrates cultural pluralism Coordinate, lead, and administer the WIDA screener and ACCESS test Identify school-level trends in strengths and growth areas as they relate to MLL student support Manage the school-wide ELD data cycle Other assigned responsibilities that leverage the expertise and strengths of the individual working as the ELD teacher leader in order to serve the emerging needs of our MLL students *** This overview is a comprehensive list of what ELD teacher leaders across the DSST network do. Please connect with your hiring contact and/or the school director at the specific school where you are applying for details surrounding what this role could entail for you. Additional Duties: School Life Model, live, and reinforce the school’s core values and policies inside and outside the classroom with colleagues, students, parents, and the larger community. Student Advisor Perform as an advisor to a small group of advisees by overseeing their academic and student life. Taking attendance Checking homework completion Holding regular academic and behavioral conferences Meeting with advisee’s parents and communicating with families regularly Leading reading and culture circles Leading weekly Advisory activities and lessons. Grade level “House” teammate Participate in weekly meetings to support student culture and academics for the whole grade Data tracking and observations in between meetings will be likely Participate in planning and execution of grade level events Weekly Staff Meetings Participate in weekly whole school staff meetings to support school culture, and teacher initiatives Participate in planning and proctoring extra teacher “duties” throughout the week Lunch Duty Morning Duty After School Duty Academic Interventions College Prep Mandatory Tutoring Behavioral Support Intervention Refocus **there may be additional duties depending on the DSST campus** Job Requirements : DSST Public Schools seeks candidates with strong character, passion for excellence and a relentless commitment to student achievement. Candidates must have a bachelor's degree along with at least 1 of the 3 items listed below in order to be eligible for hire. State teaching license in English language acquisition (CLDE, LDE, SEI, ESL) or related subject area (e.g. English language arts) ( link ) Completion of degree or 36 hours within a related subject area (e.g. English language arts) ( link ) Spanish fluency in reading ,writing, speaking, listening*** ***Spanish fluency, shown through a successful attempt at the Berlitz exam, is required at DSST: Noel MS and DSST: Henry MS. It is highly preferred at DSST: College View MS. To learn more about the different ways to prove qualifications within the subject area, please visit the Colorado Department of Education’s website at www.cde.state.co.us/cdeprof . Additional Requirements: Minimum one year experience teaching English Language Development (ELD), English as a Second Language (ESL), or English to Speakers of Other Languages (ESOL) Success in accelerating English language acquisition across the content areas in a public school setting Competencies : Commitment to Equity We believe that if we actively commit to equitable and inclusive practices aligned to our mission and values, our students and staff will achieve at high levels. Commitment to Continuous Growth We believe that if we foster our own growth mindsets, our students and staff will develop a commitment to continuous improvement and thus maximize their potential. Commitment to Healthy Team We believe that if we commit to modeling and fostering healthy teams, our students and staff will achieve a collective success that surpasses that of the individuals Drives to Results We believe if we strategically develop systems and people with a driven sense of urgency and focus on results, our students and staff will achieve ambitious goals. Classification : Exempt Reports to : School Director Compensation and Benefits: DSST Public Schools is committed to providing our staff with benefit offerings that empower each of our employees to make the choices that best meet their individualized and personal needs while also keeping cost in mind. DSST Benefit highlights include: Medical Plans offered through Kaiser $0 employee cost option! Annual Health Savings account (HSA) gift from DSST Public Schools 2 Dental Plans options offered through Principal Dental Group and Vision through VSP Employee Assistance and Counseling Support 401 (k) retirement plan with 5% annual gift from DSST regardless of personal contribution FMLA effective immediately (6 weeks paid, 6 weeks unpaid) Access to additional discounts through our benefit partners exclusively for DSST staff *Candidates placed in Aurora Science & Tech. will be eligible for a PERA Retirement Plan Physical Demands : The physical demands described here are representative of those that must be met by an employee to successfully perform the essential functions of this job. While performing the duties of this job, the employee is regularly required to talk and hear. This position is active and may require standing, walking, bending, kneeling, stooping, and crouching throughout the day. The employee must lift and/or move items up to 30 pounds. The employee must have sufficient hand, arm, and finger dexterity to operate a computer keyboard and other office equipment. Specific vision abilities required by this job include close vision, distance vision, peripheral vision, depth perception, and ability to adjust focus. DSST Public Schools Overview: DSST Public Schools (DSST) operates a network of tuition-free, open-enrollment public STEM charter schools. All DSST schools operate within the Denver Public Schools (DPS) district and students are admitted through DPS’ School Choice process. Our schools focus on building a community where students and staff are valued for their unique talents. Meaningful relationships are at the core of our model which is why our schools are small enough to ensure every student is known and valued for their individuality. We have developed systems and structures to ensure our students will be prepared for college, career and life. The student population across the DSST network is 83% students of color and 71% qualify for free and reduced lunch. This year, DSST will serve approximately 5,700 students at fourteen schools on eight campuses across Denver, and DSST will open its first campus in Aurora, Colorado in the fall 2019. At full enrollment, DSST Public Schools will serve over 10,000 students and will more than double the number of four year college-ready DPS graduates. DSST Public Schools employees support each other not only to have fulfilling careers, but more importantly, to lead fulfilling lives that combines deeply meaningful professional work with personal well-being. Our core values are central to our program and to our results. These values are embedded in everything that we do and how we do it, both for our students and our staff. The six DSST core values are: Respect - We appreciate each person and their story through our words, actions, and attitudes. We value their unique perspective and treat others with dignity. Responsibility - We acknowledge that our actions and choices impact ourselves and our community. We take ownership for what we do and how we choose to do it. Integrity - We act and speak with honesty, fairness, and thoughtfulness. We consistently align our words and actions. Courage - We possess the confidence and resolve to take risks, push ourselves, and persevere in the face of pressure, adversity or unfamiliar circumstances. Curiosity - We are eager to learn, questions, and explore. We have a thirst for knowledge, a love of investigation, and a desire to learn about ourselves, our community, and our world. Doing Your Best - We put our best effort into everything we do. We know that individual and collective effort are required for our community to thrive. DSST Public Schools proudly values diversity and is an equal opportunity employer. Denver School of Science and Technology does not exclude participation in, deny benefits to or discriminate on the basis of, ethnicity, race, color, religion, national origin, ancestry, marital status, gender, sexual orientation, age or disability in admission or access to, or treatment or employment in its programs and activities. (Protected Classes). DSST Public Schools does not unlawfully discriminate against a member of a Protected Class in admission or access to, or terms and conditions of employment, or in its programs and activities. DSST Public Schools shall operate as an equal opportunity employer and will provide and safeguard the opportunity for all persons to seek, obtain, hold and advance in employment within the district without discrimination. The District shall actively promote the full realization of equal employment opportunity through a positive, aggressive, continuing affirmative action program. Further, DSST Public Schools affirms the rights of all Protected Classes to be free from intimidation, discrimination, physical harm and/or harassment. DSST Public Schools shall inform students, parents, employees and the general public each school year that the educational programs, activities and employment opportunities offered by the district are offered without regard to ethnicity, race, color, religion, national origin, ancestry, marital status, gender, sexual orientation, age or disability. The announcement shall also include the name/title, address and telephone number of the person designated to coordinate Title IX and Section 504 and ADA compliance activities. Any person having inquiries concerning the School's compliance with the regulations implementing Title VII of the Civil Rights Act of 1964 (Title VI), Section 504 of the Rehabilitation Act of 1973 (Section 504), or Title II of the Americans with Disabilities Act of 1990 (ADA), may contact the Assistant Superintendent or Human Resources. Middle School Math Teacher DSST Public Schools (DSST) seeks a Middle School Math Teacher to join one of the leading charter school organizations in the nation. We serve 6-12th grade students across Denver and Aurora. Our mission is to transform urban public education by eliminating educational inequity and preparing all students for success in college and the 21st century. Overview of Position : DSST Public Schools seeks teachers with a track-record of raising student achievement to join a team of educators dedicated to providing a rigorous college preparatory program to a diverse population. Our teachers are leaders who play an integral role in ensuring student success through supporting our school culture, developing and instructing a rigorous core curriculum, and using data to drive their daily practice. Our math teachers teach students to see and use math in real life- while upholding the understanding that math is something we understand, not just something we do. We believe all students can be mathematicians and inspire them to see themselves as such. Our curriculum map is as follows: 6th Grade Common Core Math 7th Grade Common Core Math Integrated Algebra I and Geometry I Integrated Algebra I and Geometry II Algebra II Pre-Calculus AP Calculus AB AP Calculus BC There is flexibility in terms of where students are placed along the math curriculum according to performance and preparedness. All students complete Pre-Calculus by the time of graduation. We will inquire about your grade level and campus specific preference at the time of interview. Essential Functions : Overview Demonstrate relentless drive to improve the minds and lives of students Take holistic accountability for student success- taking ownership of each student’s academic success or failure. Reinforce the school’s core values, guiding philosophy, rules and school spirit. Classroom Teaching Exhibit mastery and enthusiasm for the assigned academic subjects and classes Work closely and collaborate with other teachers within the school and throughout the DSST network Teach 3-5 classes a day of various lengths depending on the DSST campus and subject area Average 150+ minutes of plan time per day Plan lessons and implement targeted curriculum and assessments for each student which adheres to the school's curriculum and standards. Keep an up-to-date gradebook for each class Work to implement and master DSST Public Schools’ core instructional practices Data and Analysis Implement a variety of targeted assessments and perform a root cause analysis that measure progress towards learning outcomes and that adhere to the DSST Assessment Framework. Use assessment data to adapt curriculum and instructional practices to help students meet the school's performance standards. Such use of data includes re-teach weeks, spiraling skills, and changing daily instruction to meet student needs. Professional Development Participate in weekly feedback sessions with an instructional coach Devote the necessary time and energy required to master the craft of teaching. To be open to innovative approaches to teaching, feedback from colleagues and school administration. Actively participate in the school’s professional development programs including data analysis and planning, leading and participating in best practice sessions, peer coaching, and attending conferences. Additional Duties: School Life Model, live, and reinforce the school’s core values and policies inside and outside the classroom with colleagues, students, parents, and the larger community. Student Advisor Perform as an advisor to a small group of advisees by overseeing their academic and student life. Taking attendance Checking homework completion Holding regular academic and behavioral conferences Meeting with advisee’s parents and communicating with families regularly Leading reading and culture circles Leading weekly Advisory activities and lessons. Grade level “House” teammate Participate in weekly meetings to support student culture and academics for the whole grade Data tracking and observations in between meetings will be likely Participate in planning and execution of grade level events Weekly Staff Meetings Participate in weekly whole school staff meetings to support school culture, and teacher initiatives Participate in planning and proctoring extra teacher “duties” throughout the week Lunch Duty Morning Duty After School Duty Academic Interventions College Prep Mandatory Tutoring Behavioral Support Intervention Refocus **there may be additional duties depending on the DSST campus** Job Requirements : DSST Public Schools seeks candidates with strong character, passion for excellence and a relentless commitment to student achievement. In order to be considered qualified to teach at DSST Public Schools, you will need a Bachelor’s degree from an accredited university and AT LEAST one of the following: 36 credits hours (DPS approved) in the subject you are teaching. Passing of the #5161 Math Praxis exam 152 CDE license endorsement within subject area Competencies : Commitment to Equity We believe that if we actively commit to equitable and inclusive practices aligned to our mission and values, our students and staff will achieve at high levels. Commitment to Continuous Growth We believe that if we foster our own growth mindsets, our students and staff will develop a commitment to continuous improvement and thus maximize their potential. Commitment to Healthy Team We believe that if we commit to modeling and fostering healthy teams, our students and staff will achieve a collective success that surpasses that of the individuals Drives to Results We believe if we strategically develop systems and people with a driven sense of urgency and focus on results, our students and staff will achieve ambitious goals. Classification : Exempt Reports to : School Director Compensation and Benefits : DSST Public Schools is committed to providing our staff with benefit offerings that empower each of our employees to make the choices that best meet their individualized and personal needs while also keeping cost in mind. DSST Benefit highlights include: Medical Plans offered through Kaiser $0 employee cost option! Annual Health Savings account (HSA) gift from DSST Public Schools 2 Dental Plans options offered through Principal Dental Group and Vision through VSP Employee Assistance and Counseling Support 401 (k) retirement plan with 5% annual gift from DSST regardless of personal contribution FMLA effective immediately (6 weeks paid, 6 weeks unpaid) Access to additional discounts through our benefit partners exclusively for DSST staff *Candidates placed in Aurora Science & Tech. will be eligible for a PERA Retirement Plan Physical Demands : The physical demands described here are representative of those that must be met by an employee to successfully perform the essential functions of this job. While performing the duties of this job, the employee is regularly required to talk and hear. This position is active and may require standing, walking, bending, kneeling, stooping, and crouching throughout the day. The employee must lift and/or move items up to 30 pounds. The employee must have sufficient hand, arm, and finger dexterity to operate a computer keyboard and other office equipment. Specific vision abilities required by this job include close vision, distance vision, peripheral vision, depth perception, and ability to adjust focus. DSST Public Schools Overview: DSST Public Schools (DSST) operates a network of tuition-free, open-enrollment public STEM charter schools. All DSST schools operate within the Denver Public Schools (DPS) district and students are admitted through DPS’ School Choice process. Our schools focus on building a community where students and staff are valued for their unique talents. Meaningful relationships are at the core of our model which is why our schools are small enough to ensure every student is known and valued for their individuality. We have developed systems and structures to ensure our students will be prepared for college, career and life. The student population across the DSST network is 83% students of color and 71% qualify for free and reduced lunch. This year, DSST will serve approximately 5,700 students at fourteen schools on eight campuses across Denver, and DSST will open its first campus in Aurora, Colorado in the fall 2019. At full enrollment, DSST Public Schools will serve over 10,000 students and will more than double the number of four year college-ready DPS graduates. DSST Public Schools employees support each other not only to have fulfilling careers, but more importantly, to lead fulfilling lives that combines deeply meaningful professional work with personal well-being. Our core values are central to our program and to our results. These values are embedded in everything that we do and how we do it, both for our students and our staff. The six DSST core values are: Respect - We appreciate each person and their story through our words, actions, and attitudes. We value their unique perspective and treat others with dignity. Responsibility - We acknowledge that our actions and choices impact ourselves and our community. We take ownership for what we do and how we choose to do it. Integrity - We act and speak with honesty, fairness, and thoughtfulness. We consistently align our words and actions. Courage - We possess the confidence and resolve to take risks, push ourselves, and persevere in the face of pressure, adversity or unfamiliar circumstances. Curiosity - We are eager to learn, questions, and explore. We have a thirst for knowledge, a love of investigation, and a desire to learn about ourselves, our community, and our world. Doing Your Best - We put our best effort into everything we do. We know that individual and collective effort are required for our community to thrive. DSST Public Schools proudly values diversity and is an equal opportunity employer. Denver School of Science and Technology does not exclude participation in, deny benefits to or discriminate on the basis of, ethnicity, race, color, religion, national origin, ancestry, marital status, gender, sexual orientation, age or disability in admission or access to, or treatment or employment in its programs and activities. (Protected Classes). DSST Public Schools does not unlawfully discriminate against a member of a Protected Class in admission or access to, or terms and conditions of employment, or in its programs and activities. DSST Public Schools shall operate as an equal opportunity employer and will provide and safeguard the opportunity for all persons to seek, obtain, hold and advance in employment within the district without discrimination. The District shall actively promote the full realization of equal employment opportunity through a positive, aggressive, continuing affirmative action program Further, DSST Public Schools affirms the rights of all Protected Classes to be free from intimidation, discrimination, physical harm and/or harassment. DSST Public Schools shall inform students, parents, employees and the general public each school year that the educational programs, activities and employment opportunities offered by the district are offered without regard to ethnicity, race, color, religion, national origin, ancestry, marital status, gender, sexual orientation, age or disability. The announcement shall also include the name/title, address and telephone number of the person designated to coordinate Title IX and Section 504 and ADA compliance activities. Any person having inquiries concerning the School's compliance with the regulations implementing Title VII of the Civil Rights Act of 1964 (Title VI), Section 504 of the Rehabilitation Act of 1973 (Section 504), or Title II of the Americans with Disabilities Act of 1990 (ADA), may contact the Assistant Superintendent or Human Resources. Middle School Science Teacher DSST Public Schools (DSST) seeks a Middle School Science Teacher to join one of the leading charter school organizations in the nation. We serve 6-12th grade students across Denver and Aurora. Our mission is to transform urban public education by eliminating educational inequity and preparing all students for success in college and the 21st century. Overview of Position : DSST Public Schools seeks teachers with a track-record of raising student achievement to join a team of educators dedicated to providing a rigorous college preparatory program to a diverse population. Our teachers are leaders who play an integral role in ensuring student success through supporting our school culture, developing and instructing a rigorous core curriculum, and using data to drive their daily practice. Our science teachers inspire students to be curious about the incredible world around them by allowing students to truly grapple with a problem. They allow opportunities for experimentation, observation and understanding in the process of making a discovery. We have a rigorous Next Generation Science Standards Curriculum for all of our middle school grades: 6-8th Grade: Integrated NGSS Science Curriculum We will inquire about your grade level and campus specific preference at the time of interview. Essential Functions : Overview Demonstrate relentless drive to improve the minds and lives of students Take holistic accountability for student success- taking ownership of each student’s academic success or failure. Reinforce the school’s core values, guiding philosophy, rules and school spirit. Classroom Teaching Exhibit mastery and enthusiasm for the assigned academic subjects and classes Work closely and collaborate with other teachers within the school and throughout the DSST network Teach 3-5 classes a day of various lengths depending on the DSST campus and subject area Average 150+ minutes of plan time per day Plan lessons and implement targeted curriculum and assessments for each student which adheres to the school's curriculum and standards. Keep an up-to-date gradebook for each class Work to implement and master DSST Public Schools’ core instructional practices Data and Analysis Implement a variety of targeted assessments and perform a root cause analysis that measure progress towards learning outcomes and that adhere to the DSST Assessment Framework. Use assessment data to adapt curriculum and instructional practices to help students meet the school's performance standards. Such use of data includes re-teach weeks, spiraling skills, and changing daily instruction to meet student needs. Professional Development Participate in weekly feedback sessions with an instructional coach Devote the necessary time and energy required to master the craft of teaching. To be open to innovative approaches to teaching, feedback from colleagues and school administration. Actively participate in the school’s professional development programs including data analysis and planning, leading and participating in best practice sessions, peer coaching, and attending conferences. Additional Duties: School Life Model, live, and reinforce the school’s core values and policies inside and outside the classroom with colleagues, students, parents, and the larger community. Student Advisor Perform as an advisor to a small group of advisees by overseeing their academic and student life. Taking attendance Checking homework completion Holding regular academic and behavioral conferences Meeting with advisee’s parents and communicating with families regularly Leading reading and culture circles Leading weekly Advisory activities and lessons. Grade level “House” teammate Participate in weekly meetings to support student culture and academics for the whole grade Data tracking and observations in between meetings will be likely Participate in planning and execution of grade level events Weekly Staff Meetings Participate in weekly whole school staff meetings to support school culture, and teacher initiatives Participate in planning and proctoring extra teacher “duties” throughout the week Lunch Duty Morning Duty After School Duty Academic Interventions College Prep Mandatory Tutoring Behavioral Support Intervention Refocus **there may be additional duties depending on the DSST campus** Job Requirements : DSST Public Schools seeks candidates with strong character, passion for excellence and a relentless commitment to student achievement. In order to be considered qualified to teach at DSST Public Schools, you will need a Bachelor’s degree from an accredited university and AT LEAST one of the following: 36 credits hours (DPS approved) in the subject you are teaching. Passing of the #5435 Science Praxis exam CDE license endorsement within subject area Competencies : Commitment to Equity We believe that if we actively commit to equitable and inclusive practices aligned to our mission and values, our students and staff will achieve at high levels. Commitment to Continuous Growth We believe that if we foster our own growth mindsets, our students and staff will develop a commitment to continuous improvement and thus maximize their potential. Commitment to Healthy Team We believe that if we commit to modeling and fostering healthy teams, our students and staff will achieve a collective success that surpasses that of the individuals Drives to Results We believe if we strategically develop systems and people with a driven sense of urgency and focus on results, our students and staff will achieve ambitious goals. Classification : Exempt Reports to : School Director Compensation and Benefits : DSST Public Schools is committed to providing our staff with benefit offerings that empower each of our employees to make the choices that best meet their individualized and personal needs while also keeping cost in mind. DSST Benefit highlights include: Medical Plans offered through Kaiser $0 employee cost option! Annual Health Savings account (HSA) gift from DSST Public Schools 2 Dental Plans options offered through Principal Dental Group and Vision through VSP Employee Assistance and Counseling Support 401 (k) retirement plan with 5% annual gift from DSST regardless of personal contribution FMLA effective immediately (6 weeks paid, 6 weeks unpaid) Access to additional discounts through our benefit partners exclusively for DSST staff *Candidates placed in Aurora Science & Tech. will be eligible for a PERA Retirement Plan Physical Demands : The physical demands described here are representative of those that must be met by an employee to successfully perform the essential functions of this job. While performing the duties of this job, the employee is regularly required to talk and hear. This position is active and may require standing, walking, bending, kneeling, stooping, and crouching throughout the day. The employee must lift and/or move items up to 30 pounds. The employee must have sufficient hand, arm, and finger dexterity to operate a computer keyboard and other office equipment. Specific vision abilities required by this job include close vision, distance vision, peripheral vision, depth perception, and ability to adjust focus. DSST Public Schools Overview: DSST Public Schools (DSST) operates a network of tuition-free, open-enrollment public STEM charter schools. All DSST schools operate within the Denver Public Schools (DPS) district and students are admitted through DPS’ School Choice process. Our schools focus on building a community where students and staff are valued for their unique talents. Meaningful relationships are at the core of our model which is why our schools are small enough to ensure every student is known and valued for their individuality. We have developed systems and structures to ensure our students will be prepared for college, career and life. The student population across the DSST network is 83% students of color and 71% qualify for free and reduced lunch. This year, DSST will serve approximately 5,700 students at fourteen schools on eight campuses across Denver, and DSST will open its first campus in Aurora, Colorado in the fall 2019. At full enrollment, DSST Public Schools will serve over 10,000 students and will more than double the number of four year college-ready DPS graduates. DSST Public Schools employees support each other not only to have fulfilling careers, but more importantly, to lead fulfilling lives that combines deeply meaningful professional work with personal well-being. Our core values are central to our program and to our results. These values are embedded in everything that we do and how we do it, both for our students and our staff. The six DSST core values are: Respect - We appreciate each person and their story through our words, actions, and attitudes. We value their unique perspective and treat others with dignity. Responsibility - We acknowledge that our actions and choices impact ourselves and our community. We take ownership for what we do and how we choose to do it. Integrity - We act and speak with honesty, fairness, and thoughtfulness. We consistently align our words and actions. Courage - We possess the confidence and resolve to take risks, push ourselves, and persevere in the face of pressure, adversity or unfamiliar circumstances. Curiosity - We are eager to learn, questions, and explore. We have a thirst for knowledge, a love of investigation, and a desire to learn about ourselves, our community, and our world. Doing Your Best - We put our best effort into everything we do. We know that individual and collective effort are required for our community to thrive. DSST Public Schools proudly values diversity and is an equal opportunity employer. Denver School of Science and Technology does not exclude participation in, deny benefits to or discriminate on the basis of, ethnicity, race, color, religion, national origin, ancestry, marital status, gender, sexual orientation, age or disability in admission or access to, or treatment or employment in its programs and activities. (Protected Classes). DSST Public Schools does not unlawfully discriminate against a member of a Protected Class in admission or access to, or terms and conditions of employment, or in its programs and activities. DSST Public Schools shall operate as an equal opportunity employer and will provide and safeguard the opportunity for all persons to seek, obtain, hold and advance in employment within the district without discrimination. The District shall actively promote the full realization of equal employment opportunity through a positive, aggressive, continuing affirmative action program. Further, DSST Public Schools affirms the rights of all Protected Classes to be free from intimidation, discrimination, physical harm and/or harassment. DSST Public Schools shall inform students, parents, employees and the general public each school year that the educational programs, activities and employment opportunities offered by the district are offered without regard to ethnicity, race, color, religion, national origin, ancestry, marital status, gender, sexual orientation, age or disability. The announcement shall also include the name/title, address and telephone number of the person designated to coordinate Title IX and Section 504 and ADA compliance activities. Any person having inquiries concerning the School's compliance with the regulations implementing Title VII of the Civil Rights Act of 1964 (Title VI), Section 504 of the Rehabilitation Act of 1973 (Section 504), or Title II of the Americans with Disabilities Act of 1990 (ADA), may contact the Assistant Superintendent or Human Resources. Middle School Special Education Teacher DSST Public Schools (DSST) seeks a Middle School Special Education Teacher to join one of the leading charter school organizations in the nation. We serve 6-12th grade students across Denver and Aurora. Our mission is to transform urban public education by eliminating educational inequity and preparing all students for success in college and the 21st century. 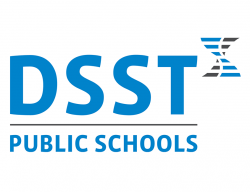 Overview of Position : DSST Public Schools seeks teachers with a track-record of raising student achievement to join a team of educators dedicated to providing a rigorous college preparatory program to a diverse population. Our teachers are leaders who play an integral role in ensuring student success through supporting our school culture, developing and instructing a rigorous core curriculum, and using data to drive their daily practice. Our Special Education teachers see and grow the potential of all students by providing differentiated support and by building inclusive spaces and strong relationships with each student and family. Our Special Education Teachers serve students from all eligibility categories. You may need to teach literacy, math, language skills, behavioral skills, daily living skills, and/or adaptive skills, and may also provide physical care needs. Our teachers provide instruction at the large group, small group and individual level, and collaborate with general education staff for successful inclusion of students. We will inquire about your grade level and campus specific preference at the time of interview. Essential Functions : Overview Demonstrate relentless drive to improve the minds and lives of students Take holistic accountability for student success- taking ownership of each student’s academic success or failure. To live and model the school’s core values with colleagues, students, parents and the larger community To reinforce the school’s core values, guiding philosophy, rules and school spirit Classroom Teaching Exhibit mastery and enthusiasm for the assigned academic subjects and classes Plan and implement targeted curriculum and assessments for each student which adheres to the school's curriculum and standards. Work to implement and master DSST Public Schools’ core instructional practices Curriculum and Assessment To implement a variety of targeted assessments and root cause analysis that measure progress towards learning outcomes and that adhere to the DSST Assessment Framework. To use assessment data to adapt curriculum and instructional practices to help students meet the school's performance standards. Such use of data includes re-teach weeks, spiraling skills, and changing daily instruction to meet student needs. Professional Development To devote the necessary time and energy required to master the craft of teaching. To be open to innovative approaches to teaching, feedback from colleagues and school administration. To actively participate in the school’s professional development programs including data analysis and planning, leading and participating in best practice sessions, peer coaching, and attending conferences. Additional Duties: School Life Model, live, and reinforce the school’s core values and policies inside and outside the classroom with colleagues, students, parents, and the larger community. Student Advisor Perform as an advisor to a small group of advisees by overseeing their academic and student life. Taking attendance Checking homework completion Holding regular academic and behavioral conferences Meeting with advisee’s parents and communicating with families regularly Leading reading and culture circles Leading weekly Advisory activities and lessons. Grade level “House” teammate Participate in weekly meetings to support student culture and academics for the whole grade Data tracking and observations in between meetings will be likely Participate in planning and execution of grade level events Weekly Staff Meetings Participate in weekly whole school staff meetings to support school culture, and teacher initiatives Participate in planning and proctoring extra teacher “duties” throughout the week Lunch Duty Morning Duty After School Duty Academic Interventions College Prep Mandatory Tutoring Behavioral Support Intervention Refocus **there may be additional duties depending on the DSST campus** Job Requirements : DSST Public Schools seeks candidates with strong character, passion for excellence and a relentless commitment to student achievement. Candidates are required to have a Bachelor's Degree. Applicants for Special Education teaching positions must meet the following requirements: Have both a license and a special education endorsement: Type of License: A7- Special Education Teacher in Residence ATL- Alternative Teacher License ATLW- Alternative Teacher License Waiver INTL- Initial Teacher License PFTL- Professional Teacher License PFTM- Professional Teacher License- Master License Endorsement: Special Education Generalist Special Education Specialist Teacher 1-Moderate Needs Teacher- Educationally Handicapped (EH) Competencies : Commitment to Equity We believe that if we actively commit to equitable and inclusive practices aligned to our mission and values, our students and staff will achieve at high levels. Commitment to Continuous Growth We believe that if we foster our own growth mindsets, our students and staff will develop a commitment to continuous improvement and thus maximize their potential. Commitment to Healthy Team We believe that if we commit to modeling and fostering healthy teams, our students and staff will achieve a collective success that surpasses that of the individuals Drives to Results We believe if we strategically develop systems and people with a driven sense of urgency and focus on results, our students and staff will achieve ambitious goals. Classification : Exempt Reports to : School Director Compensation and Benefits : DSST Public Schools is committed to providing our staff with benefit offerings that empower each of our employees to make the choices that best meet their individualized and personal needs while also keeping cost in mind. DSST Benefit highlights include: Medical Plans offered through Kaiser $0 employee cost option! Annual Health Savings account (HSA) gift from DSST Public Schools 2 Dental Plans options offered through Principal Dental Group and Vision through VSP Employee Assistance and Counseling Support 401 (k) retirement plan with 5% annual gift from DSST regardless of personal contribution FMLA effective immediately (6 weeks paid, 6 weeks unpaid) Access to additional discounts through our benefit partners exclusively for DSST staff *Candidates placed in Aurora Science & Tech. will be eligible for a PERA Retirement Plan Physical Demands : The physical demands described here are representative of those that must be met by an employee to successfully perform the essential functions of this job. While performing the duties of this job, the employee is regularly required to talk and hear. This position is active and may require standing, walking, bending, kneeling, stooping, and crouching throughout the day. The employee must lift and/or move items up to 30 pounds. The employee must have sufficient hand, arm, and finger dexterity to operate a computer keyboard and other office equipment. Specific vision abilities required by this job include close vision, distance vision, peripheral vision, depth perception, and ability to adjust focus. DSST Public Schools Overview: DSST Public Schools (DSST) operates a network of tuition-free, open-enrollment public STEM charter schools. All DSST schools operate within the Denver Public Schools (DPS) district and students are admitted through DPS’ School Choice process. Our schools focus on building a community where students and staff are valued for their unique talents. Meaningful relationships are at the core of our model which is why our schools are small enough to ensure every student is known and valued for their individuality. We have developed systems and structures to ensure our students will be prepared for college, career and life. The student population across the DSST network is 83% students of color and 71% qualify for free and reduced lunch. This year, DSST will serve approximately 5,700 students at fourteen schools on eight campuses across Denver, and DSST will open its first campus in Aurora, Colorado in the fall 2019. At full enrollment, DSST Public Schools will serve over 10,000 students and will more than double the number of four year college-ready DPS graduates. DSST Public Schools employees support each other not only to have fulfilling careers, but more importantly, to lead fulfilling lives that combines deeply meaningful professional work with personal well-being. Our core values are central to our program and to our results. These values are embedded in everything that we do and how we do it, both for our students and our staff. The six DSST core values are: Respect - We appreciate each person and their story through our words, actions, and attitudes. We value their unique perspective and treat others with dignity. Responsibility - We acknowledge that our actions and choices impact ourselves and our community. We take ownership for what we do and how we choose to do it. Integrity - We act and speak with honesty, fairness, and thoughtfulness. We consistently align our words and actions. Courage - We possess the confidence and resolve to take risks, push ourselves, and persevere in the face of pressure, adversity or unfamiliar circumstances. Curiosity - We are eager to learn, questions, and explore. We have a thirst for knowledge, a love of investigation, and a desire to learn about ourselves, our community, and our world. Doing Your Best - We put our best effort into everything we do. We know that individual and collective effort are required for our community to thrive. DSST Public Schools proudly values diversity and is an equal opportunity employer. Denver School of Science and Technology does not exclude participation in, deny benefits to or discriminate on the basis of, ethnicity, race, color, religion, national origin, ancestry, marital status, gender, sexual orientation, age or disability in admission or access to, or treatment or employment in its programs and activities. (Protected Classes). DSST Public Schools does not unlawfully discriminate against a member of a Protected Class in admission or access to, or terms and conditions of employment, or in its programs and activities. DSST Public Schools shall operate as an equal opportunity employer and will provide and safeguard the opportunity for all persons to seek, obtain, hold and advance in employment within the district without discrimination. The District shall actively promote the full realization of equal employment opportunity through a positive, aggressive, continuing affirmative action program. Further, DSST Public Schools affirms the rights of all Protected Classes to be free from intimidation, discrimination, physical harm and/or harassment. DSST Public Schools shall inform students, parents, employees and the general public each school year that the educational programs, activities and employment opportunities offered by the district are offered without regard to ethnicity, race, color, religion, national origin, ancestry, marital status, gender, sexual orientation, age or disability. The announcement shall also include the name/title, address and telephone number of the person designated to coordinate Title IX and Section 504 and ADA compliance activities. Any person having inquiries concerning the School's compliance with the regulations implementing Title VII of the Civil Rights Act of 1964 (Title VI), Section 504 of the Rehabilitation Act of 1973 (Section 504), or Title II of the Americans with Disabilities Act of 1990 (ADA), may contact the Assistant Superintendent or Human Resources.